The physicians at Select Orthopedic Specialists are Board Certified and Board Eligible. They have advanced training in their areas of specialization. Both traditional and minimally-invasive surgical approaches are available, and conservative options like therapy and splinting are also thoroughly explored when appropriate so every patient understands their options for care. Select Orthopedic Specialists is a leading provider of orthopedic surgery and other orthopedic care and treatment options in the Greater Los Angeles, CA, area. Doctor Hertz is skilled in applying the most advanced techniques to evaluate and treat fractures of the hand so her patients can experience fast and complete healing and recovery. Doctor Zack treats knee injuries with safe, minimally-invasive and effective modalities to restore pain-free range of motion. Select Orthopedic Specialists accepts most public and private insurance plans. They also offer special pricing for cash-paying patients for most procedures. Read about the ways Select Orthopedic helps thousands of patients in Los Angeles! 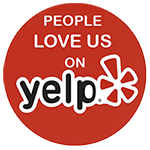 “She is very knowledgeable, friendly and has a very clean, professional office setting. Breaking a bone is something you don’t plan on experiencing, but in the end you want the BEST doctor on your side and for me that is Dr. Hertz. Couldn’t have chosen a better person to care for me.” – John L.
Schedule Your Appointment our Specialists Today! Call our office for more insurance information.